Parenting advice and helpful guide for raising children at Crosswalk.com. Biblical principles for Christian families and resources for new parents, and single parents. Find resources to help you raise your children according to the Bible and Jesus. On Crosswalk you will also find great resources on homeschool and Christian college. Every year in the USA alone, a staggering one million women experience pregnancy loss. As many as one in four known pregnancies end in miscarriage, and researchers believe the statistic to be much higher if chemical pregnancies are factored in (miscarriages that happen before a pregnancy test has confirmed the pregnancy). It’s such a common occurrence that you’d think navigating pregnancy loss would be something we’re well versed in. Yet as common as it is, miscarriage is still often whispered about behind closed doors. The advent of social media has given platform to bereaved parents who are becoming more emboldened to share their loss and grief, but scrolling through Facebook or Instagram makes it clear it’s still mostly the women talking. It begs the question: what about the men? 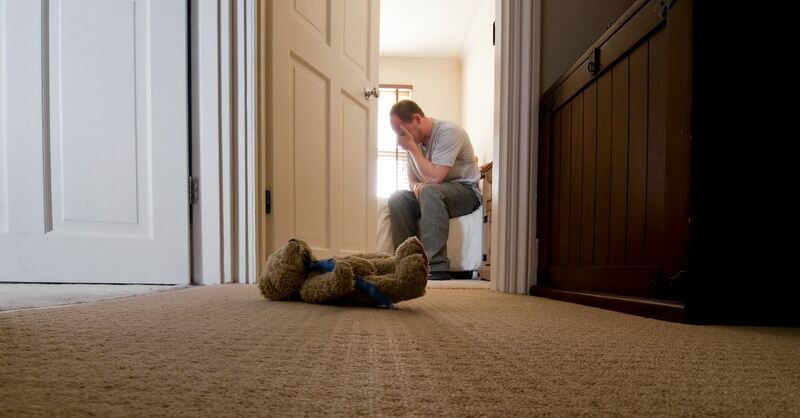 If miscarriage impacts fathers, too, then how are we to support them and give place for their experiences? To be clear, miscarriage is a women’s issue. But miscarriage is also a men’s issue. A family issue. A human issue. And men—just as women—need to be given permission to recognize their loss and process their grief in their own way. It’s often said that men and women grieve differently, and while this may have truth to it due to cultural conditioning and other factors, it’s more accurate to say that each person grieves differently. Grief can be expressed through anger, sorrow, confusion, despondency, depression, anxiety, feelings of guilt or shame, and any other number of emotions. Some people find solace in sharing openly and widely; others prefer solitude to journal or reflect. Some are demonstrative; others are quieter in their grief. We can validate the experiences of men in our lives by honoring their grief experience without trying to shape it to fit our personal or cultural or religious expectations. Don’t assume he doesn’t want to talk about it, and don’t be intimidated by a fear of saying the wrong thing. Reach out and help him know his loss matters. Make sure he knows he has the freedom to process his grief in the way that most makes sense to him. His grieving process doesn’t need to look the same as his wife’s; nor does it need to look the same as his friend’s. Invite him to share his grief by asking open-ended questions and then be gracious when he chooses to respond (or not). Never underestimate the power of an invitation to be honest about how he’s doing, especially if you hold a special place in his life, such as a close relative, friend, or his pastor. When observing his grief process, take care to never accuse him of “not grieving enough” or “not caring enough” or any other “enough” statements. Ask him how he’s doing. Encourage him to take the time to grieve that he needs. Do something to let him know he’s on your mind—something as simple as a coffee and donut or a small gift delivered to his workplace. Include his name in cards and text messages. Invite him for a day out to do something he enjoys. Offer to watch the kids so he can have time alone or quality time with his wife. Pray for him. Drop a meal by. Remember him on important days such as Father’s Day. (Find a cheat sheet with more practical ideas here.) If you are his wife, make sure he feels supported by you in his grief by attending to your marriage even while walking through your own pain. Because miscarriage can feel so abstract to a man who’s not involved in physically growing the baby within his own body, he may appreciate something to help make the loss more tangible. Consider gently offering ways he can give his baby identity and create an experiential memory around their life. This might mean naming the baby, writing a letter to the baby, releasing balloons or a lantern in a goodbye ceremony, writing a song or a poem to honor the baby, or planting a garden in the baby’s memory. Adriel Booker is a writer and speaker in Sydney, Australia where she co-leads a non-profit with her husband as well as an online community for bereaved parents. 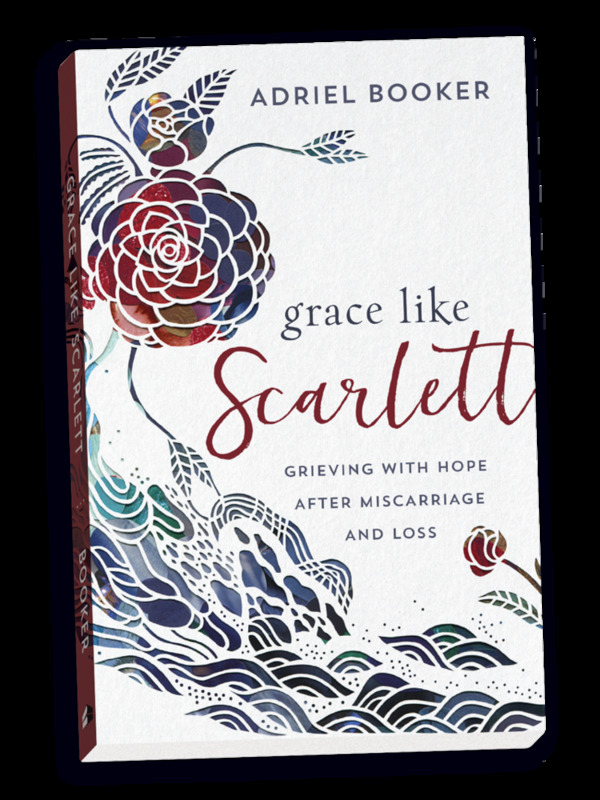 She’s the author of Grace Like Scarlett: Grieving with Hope after Miscarriage and Loss. Find Adriel on her website or @adrielbooker on Twitter, Facebook, or Instagram. Download her free guide to journaling through grief after pregnancy loss.